1 X NEW AND GENUINE VW AUDI VAG GROUP 460 RELAY 1K0951253A. LAND ROVER DEFENDER 90/110/130 WIPAC INDICATOR FLASHER RELAY 4 PIN FOR USE WITH LED LAMPS PART NUMBER - WFL7LED Manufacturers part numbers are used for identification purposes only. **** PLEASE READ OUR WARRANTY, RETURNS DELIVERY TERMSBEFORE BUYING. Ref: 569 = 469 =644. 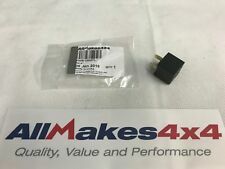 Genuine Honda4 Pin Black Micro Relay / Power Relay. Condition:Used and Good Working Order. Good Working Order. Made ByOmron / Kyoden. Coil Resistance: 80 Ohms /- 10%. Vauxhall Opel / Ignition Starter Glow Plugs Yellow Relay 90226846 V23134-J52-X369. Vauxhall Opel (Almost All Models) From 1990 - 2010. 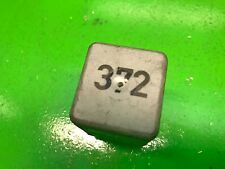 Opel Part Number:1238612. 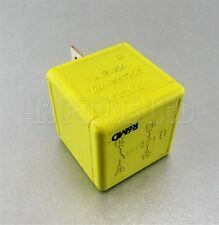 Genuine4 Pin Yellow Relay / Multi-Use Relay. 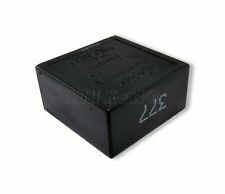 Genuine3 PIN Black Relay / Horn Relay. Nissan Most of the models (1995 - 2015). GenuineNissan Part. Fits both LHD & RHD cars. Good Working Order. Genuine BMW & MINI Parts. Genuine4 Pin Purple Relay(Fuel Pump Relay / Multi Use). Made inGermany by Bosch. Bsosh Part Number:0332019452. GenuineVauxhall or Saab Part. Good Working Order. 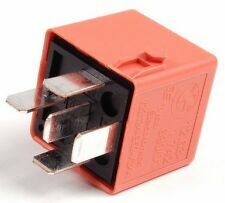 Renault Trafic Nissan Primastar Vauxhall Vivaro 4-Pin Pink Relay 40A 12V 20240041 8200308271. Vauxhall Vivaro (2001 - 2014). Renault Trafic (2001 - 2014). Renault Laguna MK2 (2001 - 2008). Genuine4 PIN Light Pink Relay / Multi Use Relay. 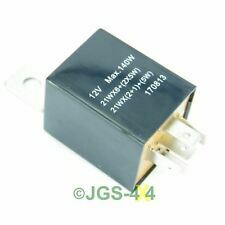 JK Part Number: J11969Good quality reproduction product. Complete glow plug relay. Fits 1900cc and 2400cc diesel T4s from 1992 to 2003. Problems starting up in the morning?. If your glowplugs arent working properly, a possible cause may be a faulty relay. Audi VW Glow Plugs Fuel Pump White Relay-614 8E0951253 4-Pin Bitron 12V 70A. 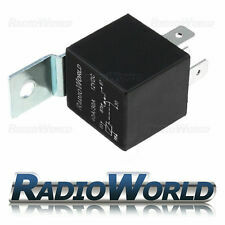 GenuineAudi 4-Pin White Relay (No. 614) / Glow Plugs Relay. VW Passat, LT, Crafter. etc (2002 - 2011). Audi A4 A6 A8. etc (2002 - 2011). 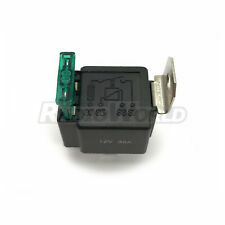 This Flasher Hazard Indicator Relay fits for Vauxhall Opel Astra Corsa. Fit for Vauxhall Opel Astra Corsa. Vauxhall Astra MK IV 1998-2005. Vauxhall Combo MK II 2001-2011. Vauxhall Combo Tour MK II 2001-2012. Audi VW Seat 357955531 Black-99 Wipers Relay Module 6-Pin DDP DODUCO Germany. Made inGermany by DDP DODUCO. VW Caddy Golf Bora Passat Beetle. GenuineAudi / VW Part. Genuine 6 PIN No. 99. Black RelayMulti-Use / Wipers and Washer. Renault Nissan (2007-2015) Diesel Cars 8-Pin Glow Plug Relay 8200859243 FGPR/ 8-12. NAGARES Part Number:FGPR/ 8-12. 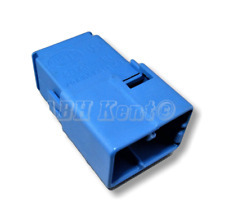 Part Number:8200859243 (This is will Replaced by Genuine Peugeot Relay). Genuine4 Pin Micro Black Relay / Multi Use Relay. Nissan Part Number:41119-1915. GenuineRenault/ Nissan Part. PART NUMBER 357906381A. MOST VW AUDI SEAT SKODA MODELS. BIG ENOUGH TO MATTER.SMALL ENOUGH TO CARE. PWE =FITTING QUALITY SINCE 1975. Audi VW Skoda Seat ECU & Fuel Pump 4-Pin Black Relay (No 100) 7M0951253A 95VW10K705CA. Genuine4 Pin Black Relay No. 100 / ECU & Fuel Pump Relay. VW Caddy Golf Bora Passat Bettle Polo Sharan Touran Fox. Renault Trafic Nissan Primastar Vauxhall Vivaro 4-Pin Brown Relay 8200263342 29200041 20A. Vauxhall Vivaro (2001 - 2014). Renault Trafic (2001 - 2014). Renault Laguna MK2 (2001 - 2008). Genuine4 Pin Brown Relay / Multi Use Relay. Featuring a mounting tab for easy mounting and built in 30A fuse. Fitted with 30A fuse. LAND ROVER FREELANDER 1996 - 2006. We are happy to help you. LR RANGE ROVER 1994 - 2001. Parts colour may very due to manufacture production. PICTURES AND PART NUMBERS ARE FOR REFERENCE ONLY AND DO NOT IMPLY THE MANUFACTURER. 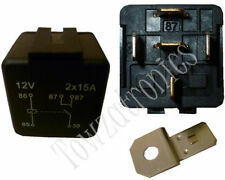 Ford (05-14) 5-Pin Brown Relay 6S6T12A343AA FoMoCo V23136-J4-X62 12V 70A PA. 12V 70A PA BUTZA. Genuine5 -Pin Brown Relay / Heater Glow Plug Relay. Ford Part Number:6S6T12A343AA = 95BG-8C616-E1B. Make byFoMoCo. Featuring a mounting tab for easy mounting and a Socket Holder. Coil Resistance: 80 Ohms /- 10%. Vauxhall Multi Use Relay in Grey. GenuineAudi / VW Part. Condition:Used and Good Working Order. Good Working Order. Part Number:V23134-J52-X430. NAGARES Part Number:BDL/ 7-12. Renault Diesel Cars (2001 - 2008). Peugeot Diesel Cars (2001 - 2008). GenuineRenault /Peugeot Part. Nissan Diesel Cars (2001 - 2008). Condition:Used and Good Working Order. Part Number: 22204004. Skoda Fabia and Octavia, Superb (Almost all models) (1984 - 2013). VW Caddy Golf Bora Polo. (Almost all models) (1984 - 2013). GenuineAudi / VW Part. Audi 80 100 200 A3 A4 A6 A8 TT Quattro.etc (Almost all models) (1984 - 2013). Renault Clio MK1, MK2 & MK3 (1991 - 2013). Renault Scenic, MK1, MK2 & MK3 (1996 - 2012). Renault Grand Scenic. Renault Laguna MK1, MK2 & MK3 (1994 - 2014). -----------------------------Genuine Renault Multi-Use Black Relay. Audi & VW Fuel Pump Black Relay (No. 409) 1J0906383B SHO 898003000 12V 40A. Genuine VW 8-PinBlack Relay No. 409/ Fuel Pump Relay. GenuineAudi / VW Part. Audi A3/S3/Sportb. /qu 1997-2000. Other Part Number:898003000. ELECTRONIC LED FLASHER RELAY SUITABLE FOR MOTORBIKES. Directly replace the OEM two-pin flasher. Work to replace most 2-pin flasher. Works for most motorcycle/bike to correct the flash speed when fitting LED bulbs (hyper flashing). Vauxhall Opel Vectra-C Signum (02-09) 5-Pin Blue Relay GM 24459504 12V Tyco. Vauxhall (Opel) Signum (2003 - 2009). Vauxhall (Opel) Vectra-C (2002 - 2009). Genuine5 Pin Blue Relay / Multi-Use Relay. Fits both LHD & RHD cars. VW Fuel Pump 7/8 Pin Black Relay (No. 410) 6N0906383A SHO 898956000 12V 40A. VW Lupo (1998 - 2005). Genuine VW (7 or 8 Pin) Relay No. 410Black Relay/ Fuel Pump Relay. VW Polo 6N1 & 6N2 (1994 - 2002). GenuineAudi / VW Part. 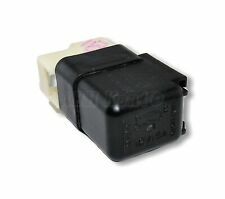 Vauxhall Opel Vectra-C Signum (02-09) 5-Pin Blue Relay GM 24459504 12V Tyco. Vauxhall (Opel) Signum (2003 - 2009). Vauxhall (Opel) Vectra-C (2002 - 2009). In the Vauxhall a common fault is the blower speeds 1-3 stop working leaving only off or full (4). BMW 1 3 4 5 6 7X1 X3 X5 Z3 Z4 Z8 Series Green-Brown relay Windscreen wipers K11 61368384505. Genuine7 PIN Green-Brown Double Relay (Windscreen Wipers K11 ). Relay Colour:Green-Brown. Fits All BMW Models Listed Above. Also fits other Toyotas (Land crusier) but check your part number. Vauxhall Opel 4-Pin Yellow Glow Plug/ Ignition Relay 90226846 Hella 4RA007793-06. Hella Part Number:4RA007793-06. Genuine4 Pin Yellow Relay (Multi-Use)/Glow Plugs, Ignition Relay. 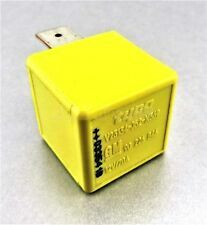 4 Pin Yellow Relay (Multi Use). Part Number : 7M0 951 253 A. Part Number - 7M0 951 253 A. Model : Sharan. Part Number7M0 951 253 A. VW Accessories. VW Body & Interiors. VW Electrical Systems. Our parts are original VW used parts, so you don't have to compromise on quality when making huge savings. Manufacturer Part Number YWB10012L. AMR2548, YWB10010, YWB10012L. Reference OE/OEM Number AMR2548, YWB10012, YWB10012L. MPN YWB10012L. Range Rover P38. These are fairly common relays used extensively on the Land Rover Freelander 1, Discovery 2 and Range Rover P38, as well as other vehicles such as the Rover Mini. For Sale - Vauxhall Opel Vectra A/B, Astra, Zafira Wiper Relay GM Part No 90191753. Audi & VW Fuel Pump Black Relay (No. 409) 1J0906383B SHO 898003000 12V 40A Fits: Bora/Variant/4Motion 1999-2005 Golf/Variant/4Motion 1998-2002 Passat/4Motion/Santana 2001-2002 Audi A3/S3/Sportb./Lim./qu 1997-2000 Descriptions & Specifications: Genuine VW 8-Pin Black Relay No. 409 / Fuel Pump Relay Part Number: 1J0906383B (Please match this number with your old unit) Other Part Number: 898003000 12V 40A Made in Germany Good Working Order Fits both LHD & RHD cars Genuine Audi / VW Part. Genuine 4 Pin Black Relay (Multi Use). GenuineVauxhall part. Fits bothLHD & RHD cars. Good Working Order. CORSA-D 2007.